This planet is a portrait of impeccable design. 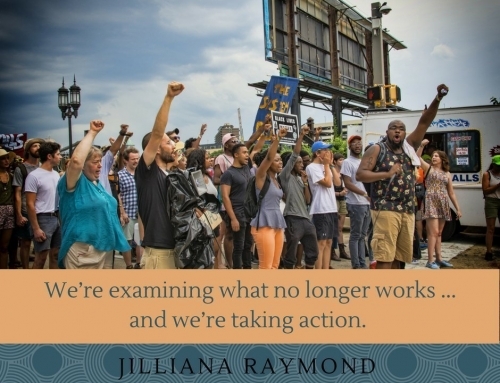 But at times environmental conditions, political contradictions or physical compromise appeals to our compassion calling us into action. Imagine a world where no child would go hungry. Imagine a world where clean water could easily be accessed. Imagine a world where education wasn’t a privilege but available to all. Imagine a world where poverty didn’t exist. Imagine a world of lush landscape and abundant reserve, capable of feeding the masses and providing resources to enhance our daily needs. National Geographic aired a documentary on the plight of Syrian children. There are reportedly 100,000 million orphans struggling to survive in war-torn Syria. Children have found refuge in underground tunnels, living in caves and surviving on the barest of means. Answering a calling of the heart, a news woman reporting on the plight of the children rescues many of them, first taking 40 of them into her home, then sponsoring an orphanage in Turkey to house these little refugees. A Texas businessman, another angel of compassion, found asylum for many more of the orphans housing them in safe havens. But what of the remaining children? What will become of them? On another front drought stricken regions including Africa and other arid regions prompts the resourcefulness and targets the complexities of providing clean drinking water to these drought stricken regions. Agricultural education becomes another focus to improve life quality providing self-sustaining food consumption. Still others lend their time and expertise to provide medical assistance into underprivileged locales where birth anomalies prevent social inclusion into their cultural lifestyles. Environmentalists answer the call to conserve world resources and protect animals and species most vulnerable to the exploits of human misunderstanding and poaching. There are many callings to answer that serve to better the human condition but it does take a village of participants to provide temporarily for those less capable of taking care of themselves. There are many ways to contribute. Thought is a powerful tool for resolution. A prayer for peace will carry far and wide. 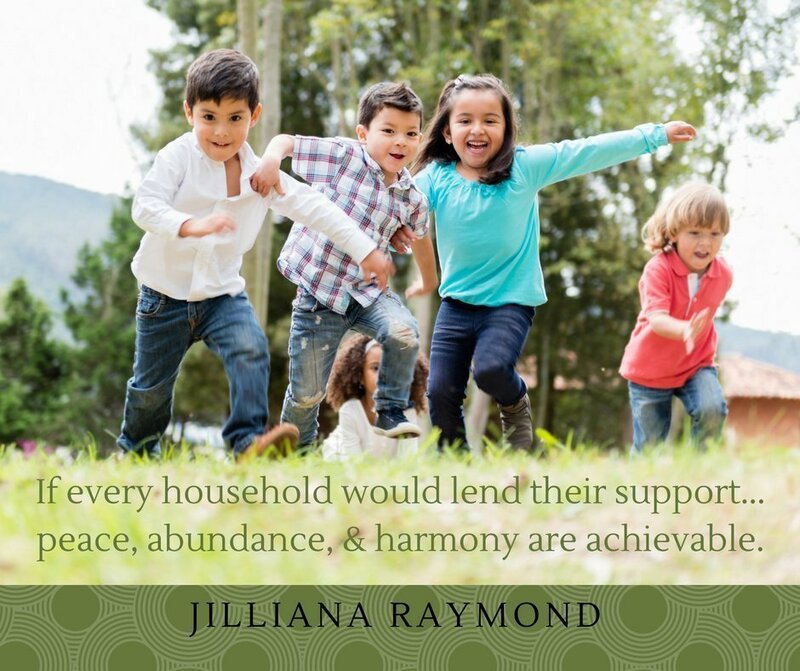 If every household would lend their support to whatever cause they felt in alignment with, no child would ever go hungry. No village would ever be without clean drinking water. Food would be plentiful, social stigma could be erased, animal preservation would be possible and education and resource re-envisioning actuated. 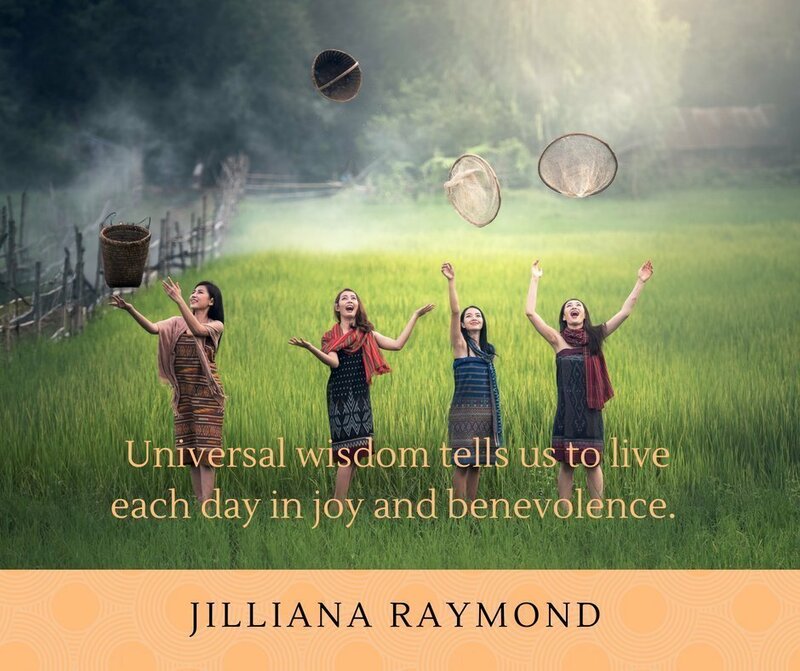 It takes a world village of participants to support the many needs of our human family, but together, with a unified focus of peace, abundance and harmony, achievable. 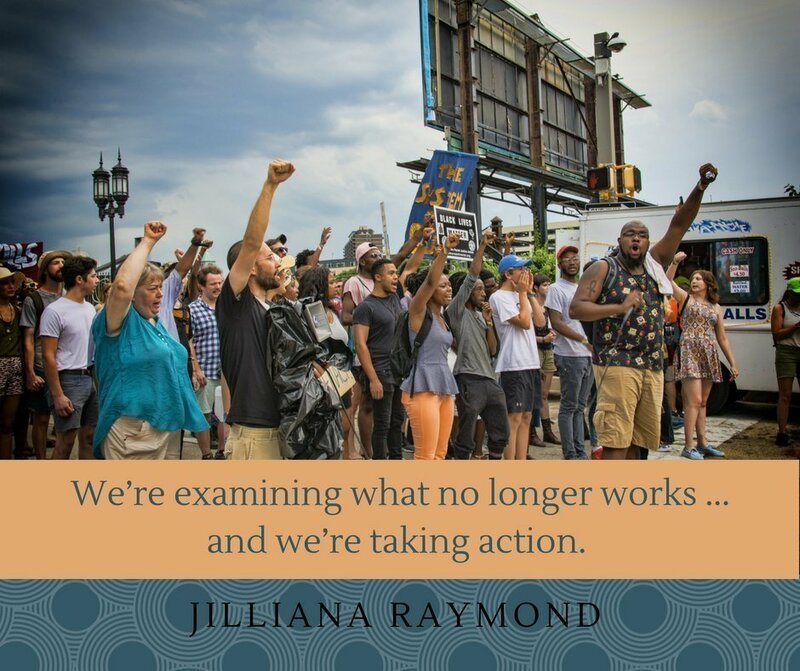 Jilliana Raymond writes and speaks to her audiences as she would to a close friend. She is engaging and endearing as she explains the relationship between the physical and spiritual worlds that surround us. 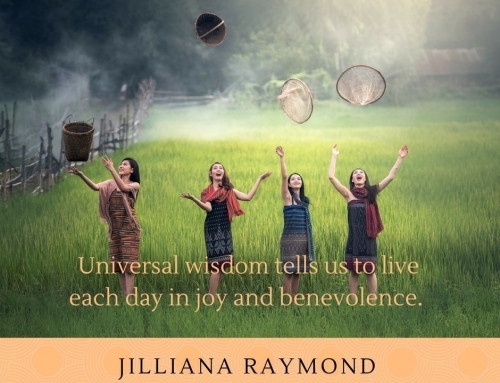 Jilliana brings heartfelt messages of hope, simple guidelines for a better life, and reassurance that we can each make a difference in our lives, our communities, and the world.